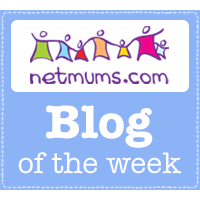 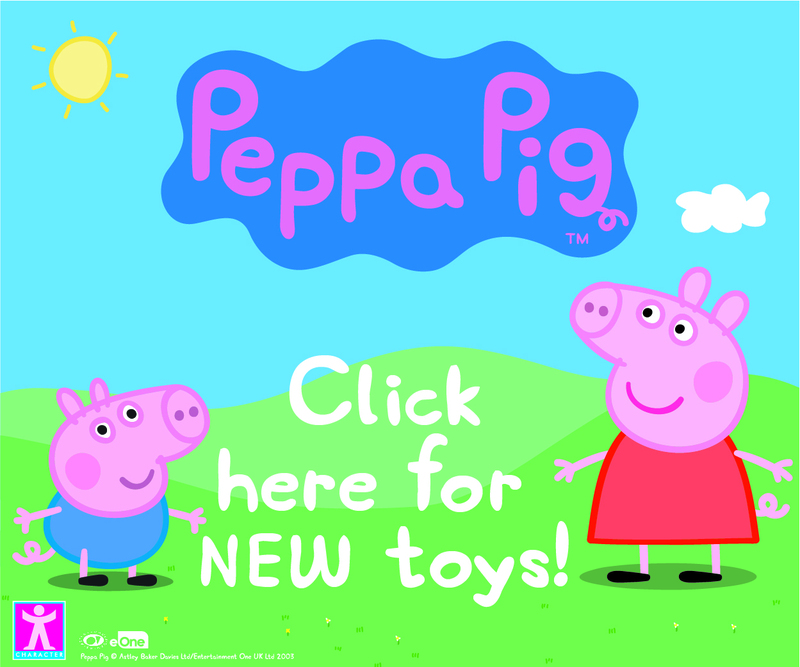 Back to school and nursery today but the Christmas fun continues in our household. 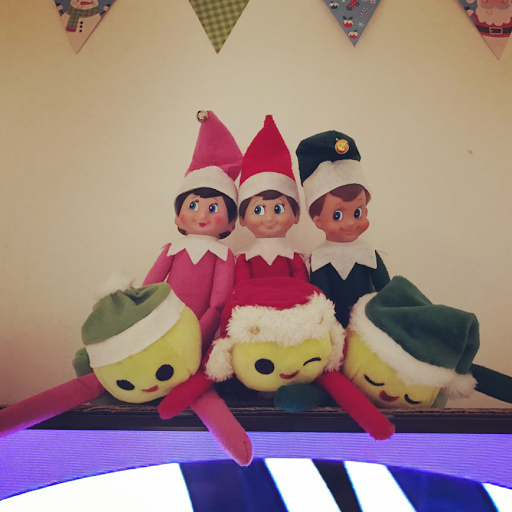 The morning started with a mad dash downstairs to find the elves who had ousted the peas from their pod and made themselves comfy from their vantage point over the TV. 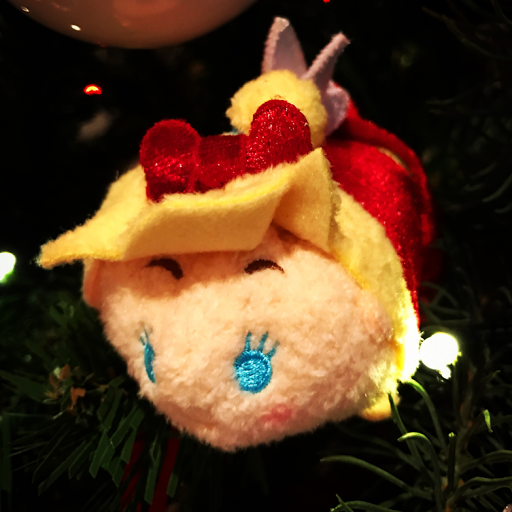 My Tsum Tsum advent calendar had Tinkerbell hiding behind door number five all decked out in her festive best. I'll say it again, I love this calendar! Poor Ben was sent home sick from school at lunchtime so I kept the twins busy doing some Christmas card making in an effort to let him get some rest without two very energetic little people annoying him. 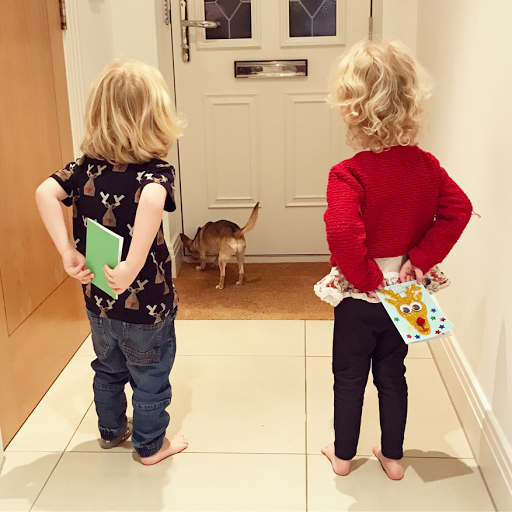 They were very proud of the cards they made for Daddy and excitedly waited by the door, ready to surprise him as he walked through the door.